OmniMark allows developers to build efficient content conversion pipelines that support the rapid insertion of multiple content filter elements without loss of processing speed. Organizations can easily create purpose-built conversion pipelines that enable them to convert structured, semi-structured and unstructured content, even content that is unique to their business in either its format or its meaning. They can construct converging pipeline topologies that unite content from multiple sources and multiple formats, in a single fast-flowing conversion pipeline, with integrated business rule insertion. The modular nature of the OmniMark scalable streaming pipeline architecture means that content conversion specialists can develop plug-and-play conversion modules that can be swapped into the pipeline architecture as needed, with confidence, and without impacting the flow of the working pipeline. OmniMark offers outstanding speed, scalability and stability, regardless of the format or semantics of the content being processed or the business rules that are applied during processing, making it faster than alternative approaches for processing content and requiring far less memory and system resources to complete processing tasks. OmniMark provides support for all the major Internet protocols. OmniMark includes parsers for many common data formats, including XML, SGML and RTF. You can also write custom parsers using OmniMark script. OmniMark provides support for all major character encoding standards. OmniMark includes a number of pre-built filters for common content conversion operations. You can also develop your own filters. An OmniMark conversion pipeline can integrate content from multiple sources. An OmniMark pipeline can be split to send multiple output to two or more different destinations. OmniMark provides complete access to local and networked file systems. OmniMark provides complete support for in-line validation at any point in the conversion process. OmniMark can pull data from or send data to most popular databases. One of the most important parts of the pipeline architecture is the ability to tap the data flow at any point in the process and send it to a validator. This allows you to insert a validation step at any point in the process without interrupting the flow of the pipeline. Another important feature is the ability to feed business rules into the pipeline and to use them to shape the processing of the content. This superior performance for high volume, time sensitive content conversion environments, is what sets OmniMark apart from other content processing languages. OmniMark will run on many platforms including Windows, UNIX and Linux. The byte-code files can be compiled on one platform and run unchanged on others. The abstraction layer used to accomplish this allows OmniMark to be enabled on new platforms and new versions of operating systems extremely rapidly, which ensures organizations can upgrade applications with minimal disruption and delay. Stilo is committed to providing the highest level of support to OmniMark customers. 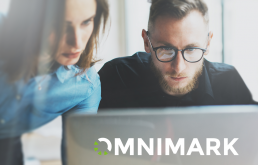 Our Customer Support allows maintenance-paying customers to obtain assistance on technical issues related to OmniMark and its deployment within their environments. In customer surveys, the responsiveness and quality of Stilo’s customer support is consistently rated as excellent. Maintenance for OmniMark is offered on a yearly basis. The first year of maintenance is purchased when you initially purchase OmniMark. Customers are strongly encouraged to renew their maintenance each year for as long as they continue to use OmniMark. 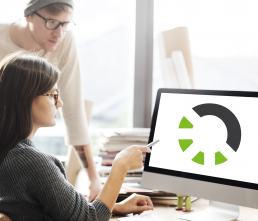 Maintenance is essential to maintaining an ongoing relationship with Stilo and ensuring full and immediate access to the latest product information, maintenance releases, and support services. 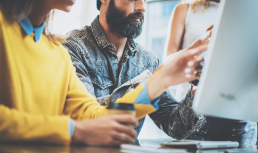 Stilo offers a number of courses, including a FREE self-study option, to help customers achieve the highest possible levels of productivity when using OmniMark to develop effective content processing applications. Courses can be delivered on-site within a customer’s premises – or at Stilo’s offices in Ottawa, Canada. Stilo’s team of content conversion specialists are available to create simple OmniMark conversion scripts, architect and build high-performance conversion pipelines that integrate with enterprise CMS and publishing systems or provide outsourced conversion services utilizing OmniMark. Here are just a selection of the many companies around the world using OmniMark to power their high-performance content processing applications. Discover how IBM are using OmniMark to convert more than a billion words a year from DITA and other source formats. OmniMark allows developers to build efficient content conversion pipelines that support the rapid insertion of multiple content filter elements without loss of processing speed. Organizations can easily create purpose-built conversion pipelines that enable them to convert structured, semi-structured and unstructured content, even content that is unique to their business in either its format or its meaning. Request a free 60-day* evaluation copy of OmniMark.